The Amazon Fire TV Cube is a streaming device that was released in June 2018 (R). This streaming device is a set-top box that is designed to be the central hub for connecting and controlling all of your home theatre equipment including TV, cable box, and even audio equipment by using the Amazon Alexa voice control technology. Essentially, this is a blend between the Echo Dot and the Fire TV Stick. The Fire TV Cube supports 4K resolutions and HDR10 but does not support Dolby Vision like the Fire TV Stick 4K. 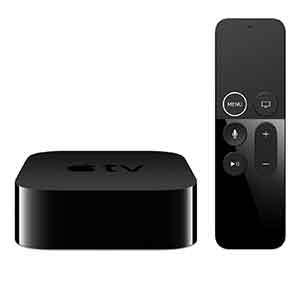 This device is primarily for cord-cutters who wish to integrate the rest of their smart home features with their streaming television content and those who particularly enjoy voice-control over a traditional remote. 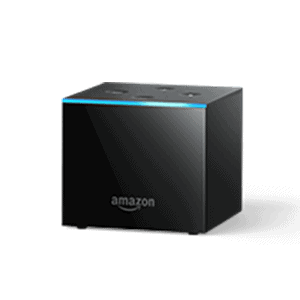 The Amazon Fire TV Cube is a small cube-shaped device that is roughly the size of the Echo Dot. 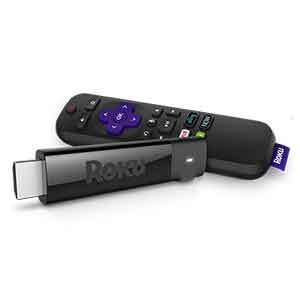 The device connects to your television with an HDMI cable; however, one is not included with the device. The device has the same hardware as the now discontinued 3rd generation Fire TV. The Fire TV Cube is powered by a quad-core ARM Cortex-A53 @ 1.5 GHz CPU with 2 GB of RAM. Paired with a Mali-450 MP3 GPU and the device is capable of delivering stunning, crisp 4K resolutions. The device also has a pretty solid Wi-Fi antenna sporting the Dual-band 802.11 a/b/g/n/ac technology which can connect to both 2.4 GHz and 5 GHz bands. Also included is the all-new Alexa Voice Remote with TV and device control. 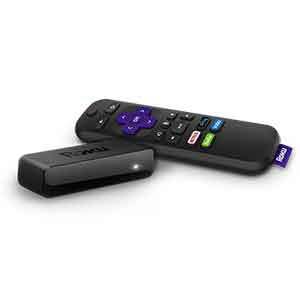 The remote connects to the device via Bluetooth so you don’t have to be within line of sight of the device. The remote design is small, matte black, with a directional ring, three Android buttons, volume buttons, play/pause, reverse, and fast-forward buttons, and the voice search button. The Amazon Fire Cube’s performance is very strong. The device is very snappy and streams picture-perfect 4K resolution with amazing HDR color. Navigating menus and switching applications are almost instantaneous. The device is not as powerful as the Echo Dot, but it is not designed for playing music, it’s designed to combine Alexa with your home theatre streaming set up. Voice control is where the device really shines. Integrated into the device are eight far-field microphones which are capable of picking up voice commands up to 20 feet away with ease. The voice controls allow you to control sound bars, TVs, and other equipment with relative ease too. There are a few hiccups in regards to the Fire TV Cube voice control. The devices you wish to control need to be within line of sight of the IR blasters located on the device itself. This may make it difficult to connect and control these other devices, especially if you have them tucked away in a cabinet. The device itself needs to be in a place where it can hear the voice commands too. Getting set up with the Amazon Fire TV Cube is very easy and should take less than 5 minutes. Simply plug in the device, connect the HDMI cable to your TV, and you will see the loading screen. The device may take a few minutes to calibrate the very first time you use it. You will need to pair your remote to the device, which can be done by holding the “home” button down for 10 seconds. When the remote is paired you can hit the play button to begin the setup process. Select your preferred language and you will be prompted to connect your Wi-Fi. Once you’ve connected to the Wi-Fi you will need to register the device with an Amazon account. If you order directly from Amazon the device will be pre-registered for you. Once registered you can begin browsing the Amazon ecosystem and watching your favorite streaming video and audio content. After completing this you will have the option to connect the device to all of your other Alexa enabled devices. The device easily connects to these devices for you making set up a breeze. The ecosystem of the Amazon Fire TV Cube is robust but primarily designed around Amazon applications; however, it is much easier with the newer version to navigate and find other content. With this device, you get access to 4K and HDR10 content in addition to thousands of titles in regular HD. Cord-cutters get access to over 2,000 different streaming channels and apps. 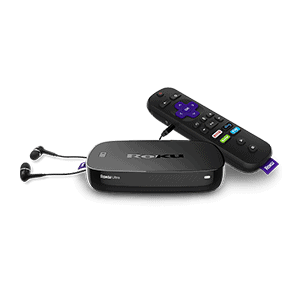 There are over 190 built-in channels with access to over 500,000 movies and TV episodes. Some of the most popular channels and apps found on Amazon Fire TV include Netflix, Amazon Prime Video, Hulu, Sling TV, fuboTV, and many more. Also available are more than 200 games. Users can use the remote control or purchase the Amazon Fire Game Controller. Titles include classics such as Sonic the Hedgehog, Final Fantasy, Crazy Taxi and more. Also, features are newer titles such as Alphadia Genesis, SoulCraft, PBA Bowling, and more. Notably missing are Google Play Movies & TV, Google Play Music, YouTube TV, and Vudu. Audio Support Dolby Atmos, 7.1 surround sound, 2ch stereo, and HDMI audio pass through up to 5.1. Dolby Atmos is not currently supported on Netflix titles.